Last year, Journal of Cell Science added notices to four papers after a reader contacted the editors with some concerns about issues with the figures. Now, it’s replacing the previous editorial notices with corrections, which address duplicated images and data. When the journal issued expressions of concern for four papers co-authored by José Ignacio Rodriguez-Crespo about the allegations (which had also been raised on PubPeer), it notified his institution, the Universidad Complutense de Madrid (UCM). The newly issued correction notices explain that UCM investigated the four papers, and the data support the results and conclusions. In two cases, the authors supplied the original data, and in the others, they replicated the experiments. handled this issue very correctly. As researchers (including us) have seen, for many journals, expressions of concern are often the last readers hear about papers under suspicion, leaving papers stuck in limbo — and their authors under a cloud. It’s refreshing to see a journal resolve the concerns and provide readers with a relatively thorough explanation. Bands were duplicated in both the Myr and Palm blots in Fig. 1C. …The UCM investigating committee reviewed replicate experiments to support the scientific results and conclusions, and found that Dr Rodríguez-Crespo did not include incorrect or fabricated data. They concluded: “…we believe that the scientific results and conclusions generated by the four papers overall are solid and do not become qualitatively invalidated by this manipulation of images…”. 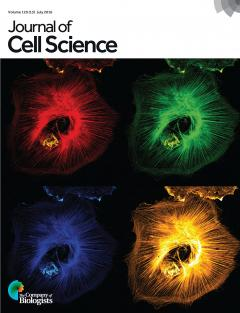 The editorial policies of Journal of Cell Science state that: “Should an error appear in a published article that affects scientific meaning or author credibility but does not affect the overall results and conclusions of the paper, our policy is to publish a Correction…” and that a Retraction should be published when “…a published paper contain[s] one or more significant errors or inaccuracies that change the overall results and conclusions of the paper…”. We follow the guidelines of the Committee on Publication Ethics (COPE), which state: “Retraction should usually be reserved for publications that are so seriously flawed (for whatever reason) that their findings or conclusions should not be relied upon”. The standards of figure assembly and data presentation in this paper fall short of good scientific practice. However, given that the investigating committee at UCM decided that the conclusions of the paper were not affected by the errors, the appropriate course of action – according to COPE guidelines – is to publish a Correction. The original data for the experiment shown in Fig. 1C were available and the correct figure panel is shown below. The new panel includes the entire gels as well as the running fronts with the radioactive labels. The 2002 paper has been cited 37 times, according to Clarivate Analytics’ Web of Science. The paper with a similar notice, “Protein kinase D activity controls endothelial nitric oxide synthesis,” has been cited six times. Replicate data for the experiments shown in Fig. 4A and Fig. 6A were available and the correct figure panels are shown below. Note that results are presented in a different order in Fig. 4A compared with the original to avoid splicing of the blots. The 2004 paper has been cited 13 times. In Fig. 1C, replicate data supporting the results were available from numerous separate experiments. The authors state that because no comparisons between protein concentrations were made and as the data in this panel are ‘all-or-none’ results (meaning that proteins either incorporate radioactive fatty acids or they do not), separate blots can be used to represent the individual experiments. Replicate data for the experiment shown in Fig. 3A were available. Both corrected figure panels are shown here. The 2006 paper has been cited 16 times. Previous Previous post: A university went to great lengths to block the release of information about a trial gone wrong. A reporter fought them and revealed the truth. Next Next post: An author says his work should be “widely heralded and promoted.” So he published it 3 times.